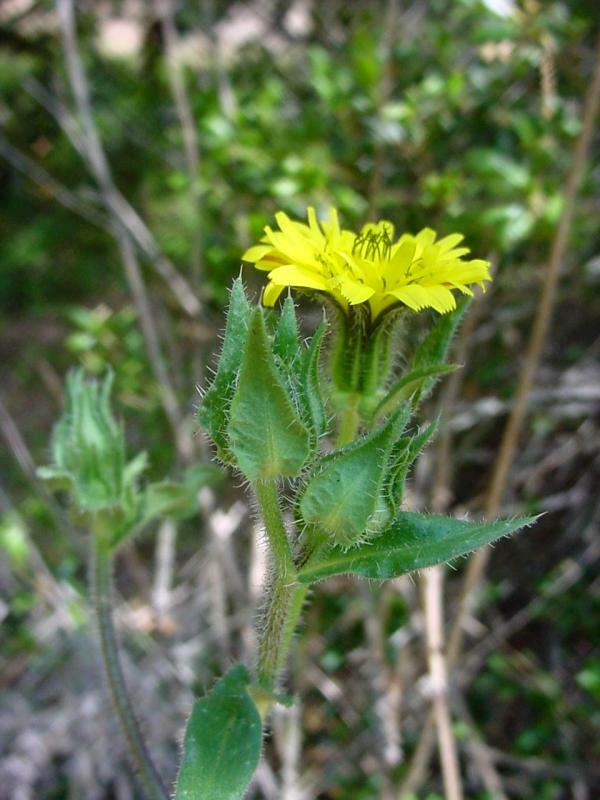 Bristly ox-tongue is a coarse, rough-bristly annual or biennial growing to 32" tall and having stout, erect stems. The alternate leaves are coarse-toothed to shallowly lobed and have short bristly spines on the upper surface. They are lanceolate to ovate, 2" to 8" long, the lower leaves tapering to wing-petioled, and the upper sessile, sometimes clasping. The showy yellow flowering heads are ligulate on short axillary peduncles or terminal on the ends of branches. The involucre is 15-20mm and consists of 2 series of phyllaries. The outer phyllaries are somewhat leaflike, ± ovate-cordate, spreading to ascending, and spine-tipped, while the inner ones are almost hidden and are more slender, smaller, and tapering to a point. The fruit is a rugose achene which is beaked, brownish and has a pappus of white plumose bristles. 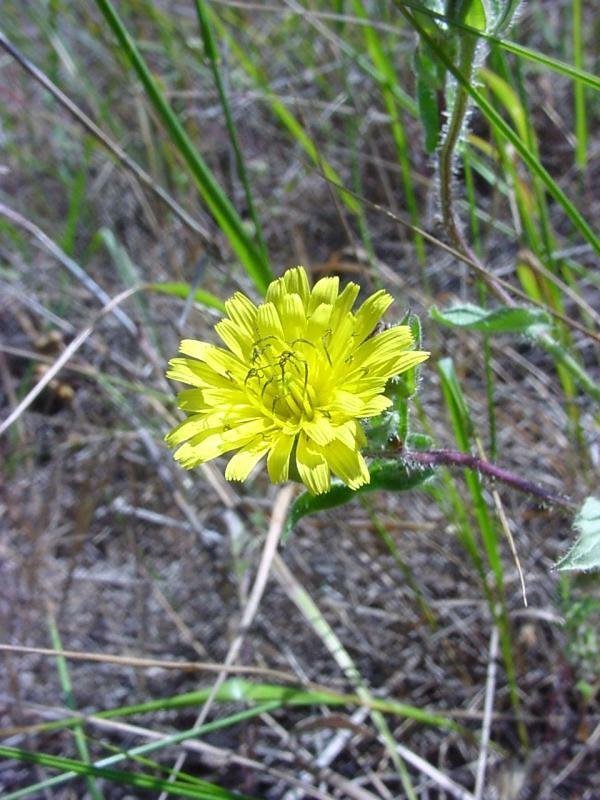 Bristly ox-tongue is common and abundant in waste places, fields, gardens and grassy areas, and is widespread in the California Floristic Province, blooming from June to December. It is a native of the Mediterranean region. These pictures were taken on the Backbone Trail in the Santa Monica Mountains. Click here for Latin name derivations: 1) Helminthotheca 2) echioides.